After making the initial decision to explore your ancestry and genetic origins, you are faced with a multitude of nuances, separating one ancestry DNA testing company from the next. National Geographic Ancestry Test and WeGene are both excellent choices for the task at hand, but one will certainly come out on top once you identify your specific needs and expectations. Their services, although high-quality and professional, differ in small but important aspects, even though they seemingly do the same thing. Our comparison will help you spot those differences between National Geographic Ancestry Test and WeGene, allowing you to make an optimal and fully personalized choice. WeGene is a DNA testing company that develops solutions for exploring your Asian heritage and learning more about your genetic health and predispositions for certain diseases and conditions. 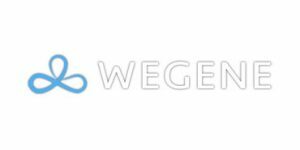 WeGene only collects the data required to provide its services and will never disclose it to any third parties, including online marketing services. Data storage is based on HIPAA rules and regulations, which includes HTTPS encryption on the entire website, separate storage of user info and genomic data, cloud backups, cloud AND local storage, and more. My daughter in law did the transfer to WeGene from 23andme. Its been about three months now and she has Zero cousin matches. I know something is wrong because I see more than a dozen matches on GEDmatch with WeGene test kits. Also there is no link to contact any customer service for help. I had a ton of questions when I first found Wegene and the support team was nothing short of impressive. So patient and friendly, they answered everything I asked and then some. As far as the actual test is concerned, I got my results in 4 weeks and there’s just a bunch to explore so it can get pretty overwhelming. Long story short, great company with an excellent Asian-centric test. I did have some delivery problems but it was all pretty smooth from there. Been searching for a test like this for ages to tell me more about my Chinese roots. I already did the ancestrydna test so that was pretty convenient since I just transferred my results to wegene and got even more information pretty cheap. WeGene is one of the few DNA testing companies that focus primarily on exploring East Asian heritage and put a special emphasis on Chinese ancestry. Read our dedicated WeGene review to see how its testing solutions can help you learn more about your genetic background, fitness levels, and predispositions to numerous health conditions and hereditary diseases.